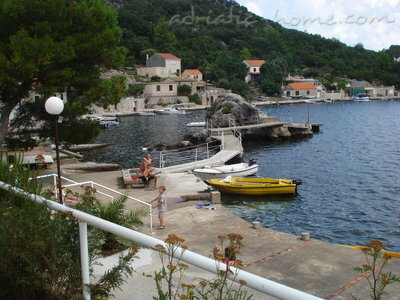 Rent a car Best Rates and Service! 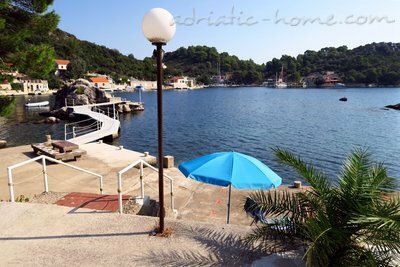 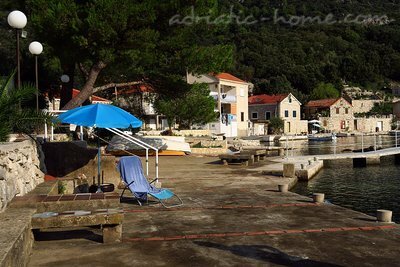 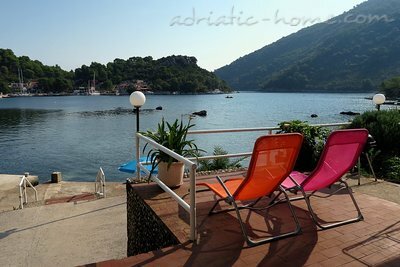 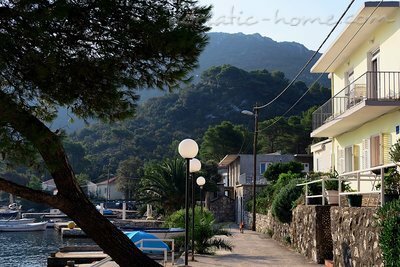 Apartment LUNA 2 + 1nalazi in a beautiful quiet bay of Okuklje with lovely seaview only 2 meter under is private beach. 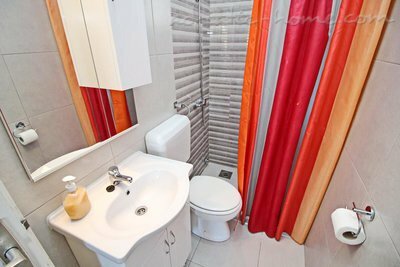 It is located on the ground floor area of 35 m2 and consists of one double bedroom, bathroom with shower, dining kitchen where the sofa for extra 1 eosobu, terrace The sea view where and Grill. 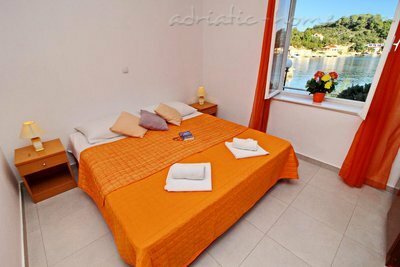 Price includes bed linen, fully furnished kitchen with dishes and utensils for jelo.Parking car field and parking for the boat or ship in front of the apartments are free of charge. 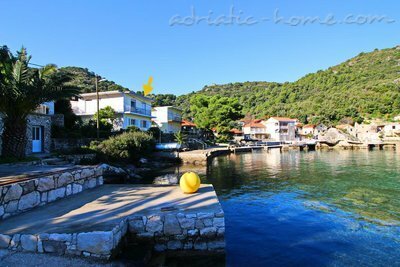 The crystal clear blue sea and a very well preserved natural landscape is a good enough reason to come and enjoy your holiday in a port Okuklje on the island of Mljet.